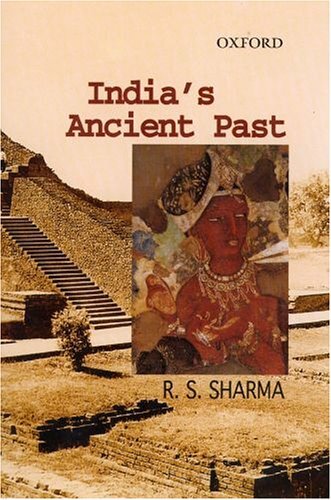 R S Sharma pens a succinct, accessible history that demolishes nostalgic Golden Age depictions of ancient India and sketches a realistic picture of a most fascinating, deeply unequal and dynamic era. Highly recommended! Ram Sharan Sharma (R. S. Sharma) was a noted historian who was also the emeritus professor of Patna University. India’s Ancient Past was a text book of history for grade 11 students until it was removed by the government around the year 2000. This book covers Indian history from pre-historic times to the seventh century CE. A bird’s eye view of the major events is portrayed in this book. Sharma uses scientific concepts to propound history, but the problem arises when he becomes selectively rational. He feels no compunction to lambast the ideas of the political party which is opposed to his leftist ideals, without an iota of evidence to prove his point. Such a book exhibiting partial paralysis of logic should not be taught in schools. The British set it upon themselves the tough task of attempting to draw up a history of India on modern lines, but based on flimsy references. Their logic for embarking on this task was rather straightforward – if you want to rule over a people, you are expected to be conversant with the past deeds of their ancestors, so that you can be a better judge in their internecine strife. As soon as the East India Company consolidated its hold over Bengal, steps in this direction followed, like the establishment of Asiatic Society of Bengal. With James Princep deciphering the script of Ashokan inscriptions, Indian historiography arrived in the technical sense. The British were careful that their efforts of making the history of ancient India do not in any way encourage the Indians to handle the destiny of their country in their own hands. To drive the point home, they made startling discoveries like Indians are fit only for being ruled and that the rulers of the country came invading across the northwest frontier. Earlier Indian historians also toed this line, but the real objective description comes from Rajendra Lal Mitra. It is disturbing to note here that even now, most Indian historians, including the author are not free from teachings of an alien political creed that is no longer practiced anywhere in the world. R L Mitra’s crowning achievement – in the words of Sharma – is that he found that people ate beef in ancient India! See the ugly haste to link the idea to controversies raging in the modern world. Sharma’s another finding on Marxian lines is the outrageous suggestion that the caste system in India is not fundamentally different from the class system in Europe. For leftist historians, Marx’s utterance is gospel truth!A nice discussion on the origins of pastoralism and agriculture is presented as a backdrop of the human migration to India. Organized settlements of the chalcolithic (copper – stone) period existed in many places. An interesting point to note is that the Harappan culture, with bronze as its prime mover, did not impart the technology to its neighbours. The mature Harappan phase is attributed to the period 2500 – 1900 BCE, but we see chalcolithic sites continue to flourish and newly established after this date. Sharma doesn’t venture into an unequivocal opinion on the causes of the decline of that civilization, apart from expressing his opinion of a general nature including flooding of the Indus, dip in rainfall in the area, and the closure of trade routes to Mesopotamia with the establishment of a strong kingdom at Elam in modern Iran lying on the trade route. War with the Indo-Aryans is definitely not cited as a reason, which puts him in great difficulty in explaining the passages in Rig Veda extolling god Indra for destroying towns (purandara) and conquest of dasyus. The Vedic period stretches from 1900 to 1500 BCE, in which Aryans achieved prominence with the help from iron implements, horse-drawn chariots and the invigorating freshness of a new world view that found expression on virgin soil. They were still mainly pastoral, with a tinge of agriculture in cultivating barley. The Later Vedic period (1000 – 500 BCE) saw the establishment of sedentary janapadas (towns) in the Gangetic basin, with agriculture expanding to include cereals such as rice and wheat. The Varna system got rigid in this period, and many Vedic deities were replaced with new or refurbished ones. The octopus-like grip of Brahmins in the society was bitterly resented by Kshatriyas, the community of rulers and warriors.Since works of a historical nature didn’t originate in India till the advent of the Middle Ages, chronology of Indian kings are rooted solidly on the invasion of Alexander in 326 BCE, which is attested in Greek texts. Reckoning backwards from this event, the births of Buddha and Mahavira are attributed to sixth century BCE. However, Sharma expresses reservations about this date on the face of excavations carried out at the historical sites of mid-Gangetic basin. Occupation of the sites is proved beyond doubt only from the 5th century BCE onwards, causing problems with the accepted chronology. Alexander’s arrival can’t be moved to a later period. So, if the author’s objections hold water, the periods of the early Mauryas are gravely in doubt. Rise of heterodox sects such as Buddhism and Jainism occurred on the cusp of change brought about by foreign invasions. Alexander’s attack was a fleeting moment of defeat, as the Mauryas were able to wrest the provinces back soon. The death of Ashoka in 232 BCE was a pivotal point in the history of the country. The pacified regime of Ashoka prepared the country for foreign hegemony. The militant central Asian hordes found their entry into China curtailed by the erection of the Great Wall around this time. They turned to India instead to unleash their lust for glory and riches. Waves of tribes rolled out of the Khyber pass such as Bactrian Greeks, Shakas, Parthians, Kushans (Yuechi) and Sassanians. These invaders merged harmoniously with India’s customs and social mores. We also witness the opening up of India’s caste structure to accommodate the newcomers. After they were granted entry as Kshatriyas, the gates banged shut, which still remains so. By the third century CE, trade and commerce declined in India, yet no credible reason is assigned for making this assertion. Precious metals were rare in India and for coinage, the thrust was on foreign trade. The downfall in trade dealt a crippling blow to money economy and urban way of life. This indirectly led to resistance from peasants and artisans. Sharma surmises that the working class might have withheld payment of taxes and grain to the state. Mingled with this sorry state of affairs on the economic front was the admission of many new tribes into the caste system. This upheaval is said to be the historical event that led thinkers in ancient India to remark this period as the beginning of Kali Yuga, where righteousness is eclipsed and mixing of castes take place. But everything was not bleak. The golden age of Hinduism was yet to be staged in the form of Gupta dynasty which lasted 160 years from the 4th to 6th centuries. Literary gems like Kalidasa and Bhasa adorned their courts. Sanskrit took its place as the state language everywhere of consequence in the subcontinent. As the supply of coins dwindled, numerous land grants took its place. Instead of payment in coins, priests and royal officials were assigned land from which they were permitted to extract revenue in the form of agricultural produce. The grandees were also entrusted with administering justice in the area. Feudalism was about to begin its long march to the Middle Ages. However, a violent storm was brewing in the west, in the form of Islam which would destroy a large part of the country’s wealth and shake its culture to its very core. However, the book stops short of this.As noted earlier, leftist historians are hell bent on expounding Marxian ideas as age-old truth. They always try to score a point in present-day political discourse by cherry-picking historical facts which suit their cause. The author seems to be obsessed with proving that ancient Indians ate meat. We see him celebrating with “people (of the chalcolithic age) certainly ate beef and pork, but they did not eat pork on any considerable scale” (p.65). They may or may not have eaten beef or pork, but why the point needs to be hammered home on the minds of children, for whom this was a text book? See the reflexive recoil from asserting that pork was widely eaten? This is another characteristic of the leftist historian who pampers Muslim sensitivities. In another passage, Sharma says “Swami Vivekananda speaks of both orthodox and beef-eating brahmanas in Vedic times, and he recommends animal food for the Hindus in the modern context” (p.127). Whatever he might have been, Swami Vivekananda was definitely not a historian, isn’t it? Then again, on p.216 he virtually dances with joy with the statement that “The Tamil brahmanas partook of meat and wine”. Sharma is entitled to his opinion, but why such unproved theories should be hoisted on young minds? He is quite sure that suppression of Buddhism by Hindu rulers was due to fanaticism and bigotry, but the killer blow on Buddhism delivered by the hands of Muslim invaders was the result of tempting the invaders with riches collected in monasteries! The author says, “Shaivite Mihirakula killed hundreds of Buddhists, Brahmin ruler Pushyamitra Sunga persecuted Buddhists, Shaivite Shashanka of Gauda felled the Bodhi tree. For their riches the monasteries came to be coveted by the Turkish invaders, becoming special targets of the invaders’ greed” (p.140). See the reluctance to spell out the religion of the ‘Turkish’ invaders, while that of Mihirakula, Pushyamitra Sunga and Shashanka are cried out from the roof top!The book has a structured design with neat little chapters and a mention of the chronology at the end of each chapter. A few maps and monochrome plates are included to add interest. An excellent index and extensive bibliography add value to the work.The book is recommended. It's an accessible and interesting book, despite being adopted as a 'textbook' for history.This is a wonderful primer on the ancient history of India. This should give an overall idea about India from antiquity to around 7th century A.D.Best part is that Sharma takes an 'economic' approach to History - that is if a king or someone character acted in certain way, Sharma wouldn't attribute it to the idealism of the king. Instead, he will look for a economic or political reason that made him act that way.That's sort of a thumb rule or sanity check in history. This book passes that basic test. But if you need a comprehensive, unbiased view of History, you may have to look elsewhere.This is a short, general introduction to where we come from. If you are looking for nuances, this isn't the right place to look for it. Anyone who wants to know the History of India should start from this book. Its authentication comes from the fact that it already was part of NCERT syllabus, before being withdrawn by the newly installed Right-wing government. The narration is very gripping and without periods. Its not storylined like the works of John Keay in 'India - A History', but presents the events taking into account other historians details. Many times throughout the books, some facts which are debatable are put as such.Overall, the book provides the basic knowledge without leaving necessary details. It is also recommended for the civil service aspirants. A wonderful primer to understand India's Ancient Past.. Lucid and does not pander into obscurity as usually books of this period do! Very insightful gives good description about Ancient India, Moreover, it clears many wrong information which are spread without any basis. A fascinating account of the creation and evolution of man, culture, civilizations, Gods and religions in the Indian subcontinent. Gotta remember all the names and dates for my exam bruh ! Overall good. No illustrations. Flow is awesome. It was a clear and concise explanation of history starting from the sources from which we know about History. He then starts from the Indus Valley Civilization and ends at the 7th century AD.It is a good introduction to history. For someone looking out to start history, I would suggest reading this book first, as it strengthens and anchors your base and then you can go about reading other books on Ancient India. This is an interesting read starting right from the stone age to the times of Guptas and Harsha. Everything is written in a sane and logical way with a proper basis. The chapters on Indus Valley Civilisation and Vedic age are great.If you are not a right wing supporter, you'll love this book. You'd know about the roots of our Civilisation and also of our diversity. This book is a perfect guide to anyone who is looking forward to peep into India's past. It lets you analyze from where did we start and where do we stand today. Nicely researched book covering archeological, scriptural, linguistic and genetic correlations. Very impressive.